Pianist Joe Cartwright makes his home in Mission, Kansas. He is a graduate of the UMKC Conservatory of Music and is the musical director for the critically acclaimed NPR radio show '12th Street Jump.' 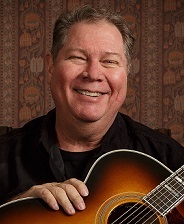 Joe has performed on and produced numerous recordings. Some of his credits include work with jazz luminaries Eddie Harris, Christian McBride, Jeff Hamilton, John Clayton, Karrin Allyson, Jimmy Witherspoon, Kevin Mahogany and Mel Torme. Cartwright has performed for audiences throughout the United States and around the world from Europe and China to South America. He has been a USIA/Kennedy Center Jazz Ambassador, under whose auspices he toured Africa, the Middle East, India, and Southeast Asia. Joe is proud to serve as music director at Unity Village Chapel where he leads a talented group of singers and instrumentalists every Sunday. These artists, along with many special musical guests, are featured on the UVC fundraising CD "Voices of the Villages" available now!